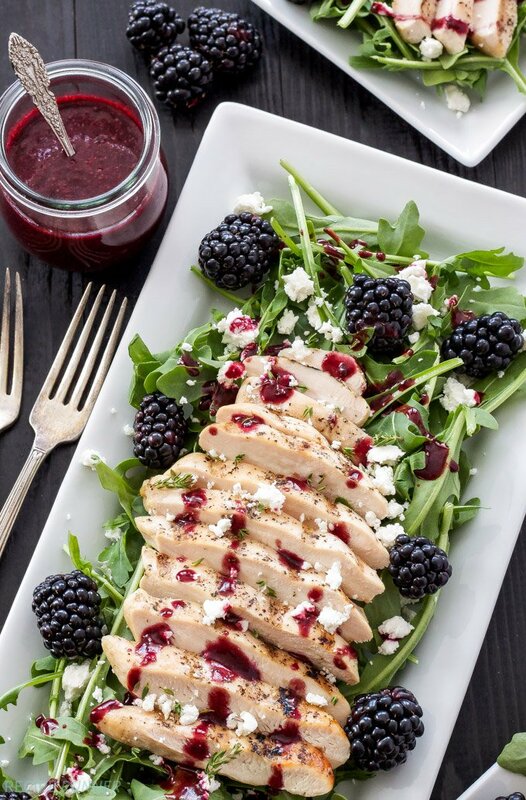 Peppery arugula topped with grilled chicken, blackberries, goat cheese, and the most delicious blackberry vinaigrette is perfect for a light and fresh summer dinner! Grilling season is in full swing and I’m loving it. Of course what I’m not loving is that our grill seems to be having one problem after another. First the ignition switch on it died. That was annoying, but at least we could still light it with a lighter. Next we bought a defective propane tank that decided to leak. We replaced it and then Sunday night when I went to grill a burger for my husband it decided to just flat out not light. Ugh! Nothing is more annoying than when you have your meat all ready to grill and walk outside to find the grill is still cold! Needless to say I gave up that night and my poor husband ended up having to eat a pan fried burger…gross. Aside from all my grill troubles, when it does decide to work it turns out some delicious grilled chicken, fish, and vegetables. I love the slight char and smokiness it gives food, something you just can’t reproduce cooking on the stove. Chicken is the number one thing we grill at our house. We eat it on it’s own, in a sandwich, or my favorite on top of a salad. 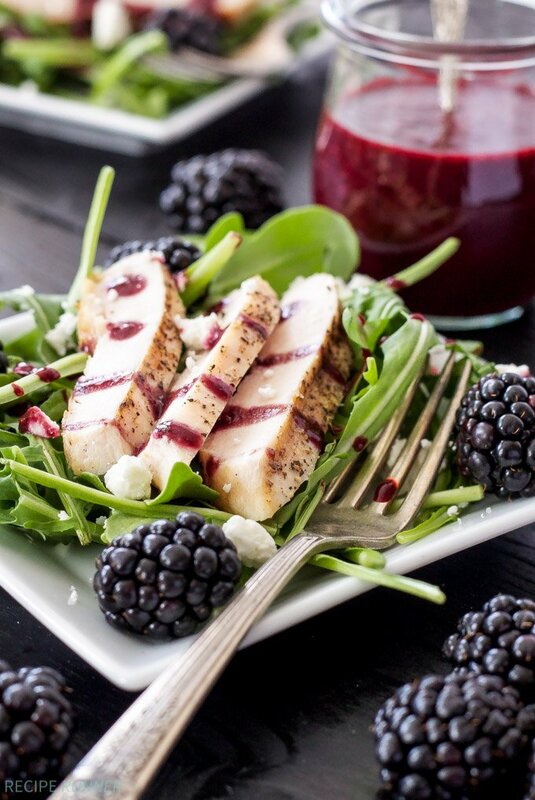 The idea for this Grilled Chicken and Goat Cheese Salad with Blackberry Vinaigrette all started with a delicious box of blackberries that I needed to use. 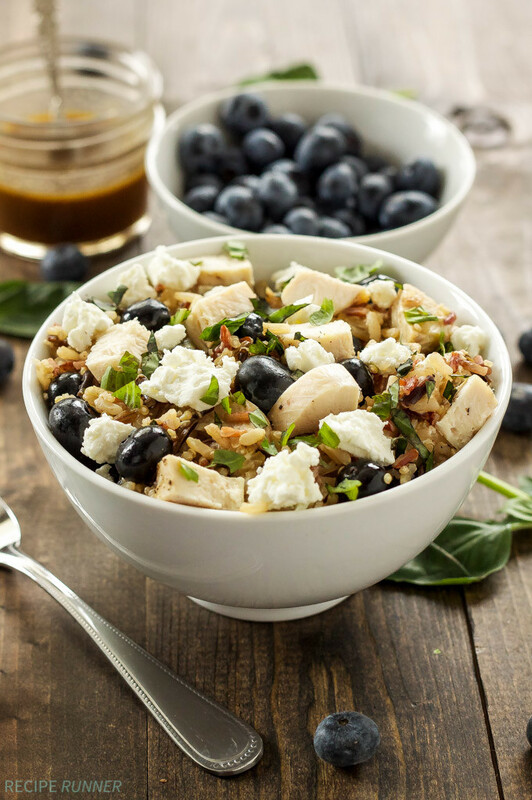 I love using berries and goat cheese together in a salad. There’s something about the sweetness of the berries and tang of the goat cheese that keeps me coming back for more. I wanted this salad to be a main course salad so I knew it needed some protein. Grilled chicken is my go to, so I sliced it and put it on top of the arugula. A note about arugula if you’ve never had it, it’s slightly bitter and peppery in flavor. If that’s not something you like then go ahead and use mixed greens instead. The final piece of the salad is the blackberry vinaigrette and I have to say it was one of the best vinaigrettes I’ve ever made! It was sweet from the blackberries and tart and tangy from the balsamic vinegar and dijon mustard. 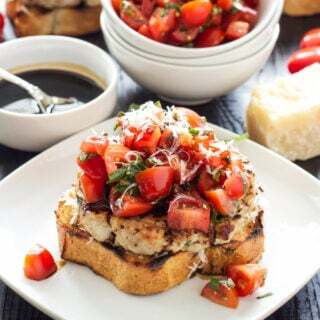 The flavors in this grilled chicken salad are perfectly balanced and just what you crave on a warm summer evening! In a blender, puree the blackberries until they are smooth. Press the blackberry puree through a fine mesh strainer into a bowl, you should have about 1/2 a cup of blackberry juice. Whisk in the remaining ingredients and refrigerate until ready to use. In a large bowl or on a serving platter, arrange the arugula. 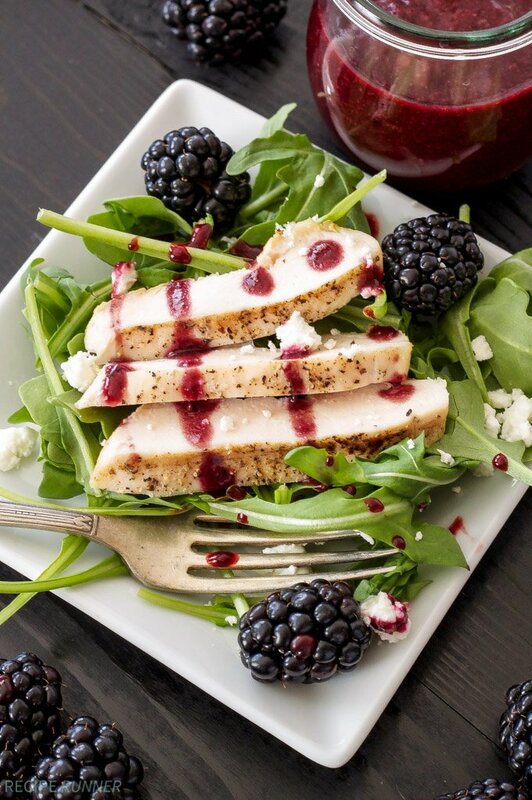 Top the arugula with slices of grilled chicken, crumbled goat cheese, and blackberries. 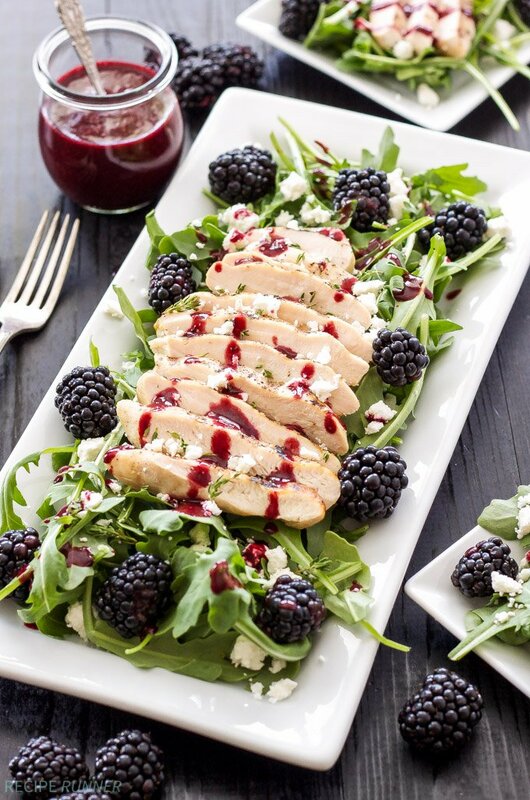 Top with the blackberry vinaigrette or serve along side the salad. 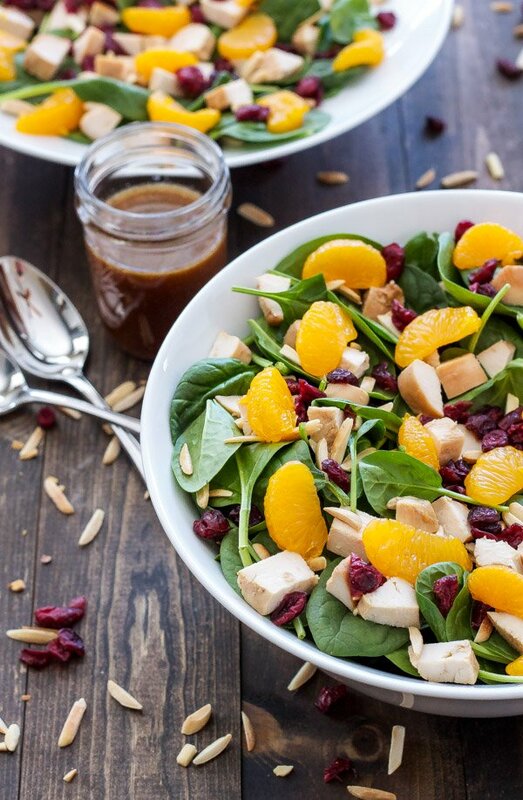 This vinaigrette sounds just delicious and we'll be having some very soon!! Oh, another annoying grill problem--How about when the meat is HALF cooked and the grill dies? Well, there's always the Foreman! Thank you mom! Finding out your meat is half cooked is definitely annoying too! Grilling season is the best!! 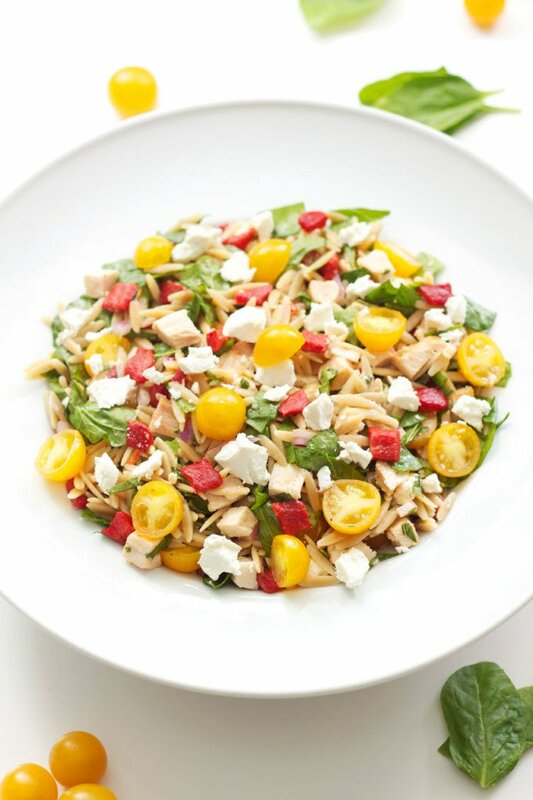 What a beautiful summer salad! 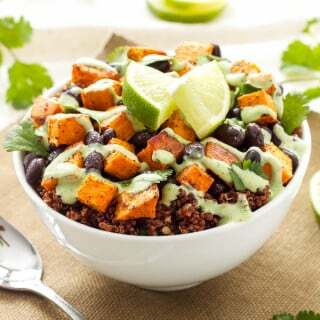 what a gorgeous looking salad Danae! I love fruit in my salads. Thanks Cynthia! I love fruit in salads too! One thing I am seriously missing during pregnancy is all the delicious cheeses! Any soft cheese is off limits, which means no goat cheese :( Why do all the yummy ones have to be the restricted ones?! 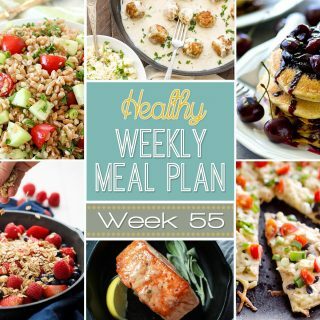 I will be adding this delicious salad to my 'to-make' list post baby! Thanks Cyndi! Our grill is fixed thank goodness. My dad was here last weekend and got it working again! There is just something about goat cheese and berries, can't get enough of it, even on crackers. Berries and goat cheese were definitely made for each other!